A kitchen that undoubtedly makes a statement! Featuring a combination of both Querkus and Corian handlesses book-matched doors with matching Corian seamless worktop, black valchromat tall units which includes large soss hinged pantry with Oak veneered plywood internals, aged brass wrapped hood and seating area doors, dovetail drawer boxes and lacquered birch plywood carcasses. This impressive kitchen is a combination of brilliant design and the use of a number of quality materials to create this ultimate wow. This is just a preview of the quality, style and some of the unique materials we can offer. 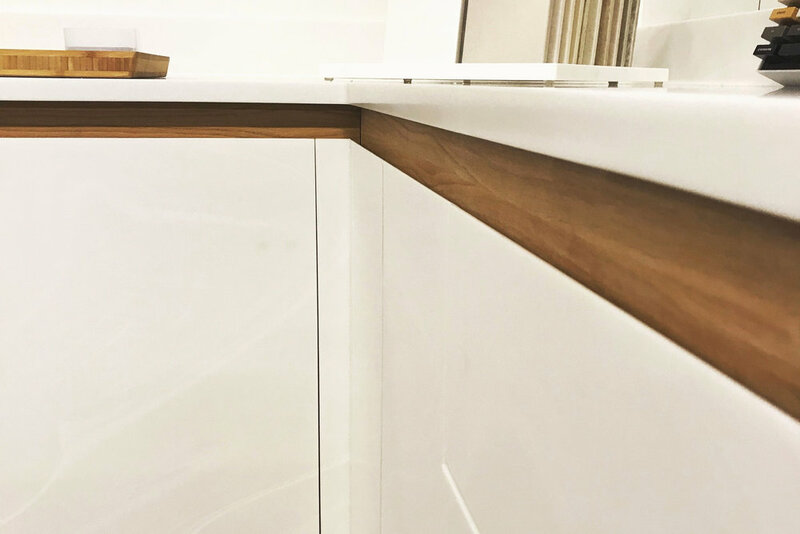 Here we used 12mm Corian to create some amazing handlesses book-matched doors with the added detail of a Oak veneered plywood handless rail which makes the white of the Corian really pop. Why does a kitchen door need to be 18mm thick? 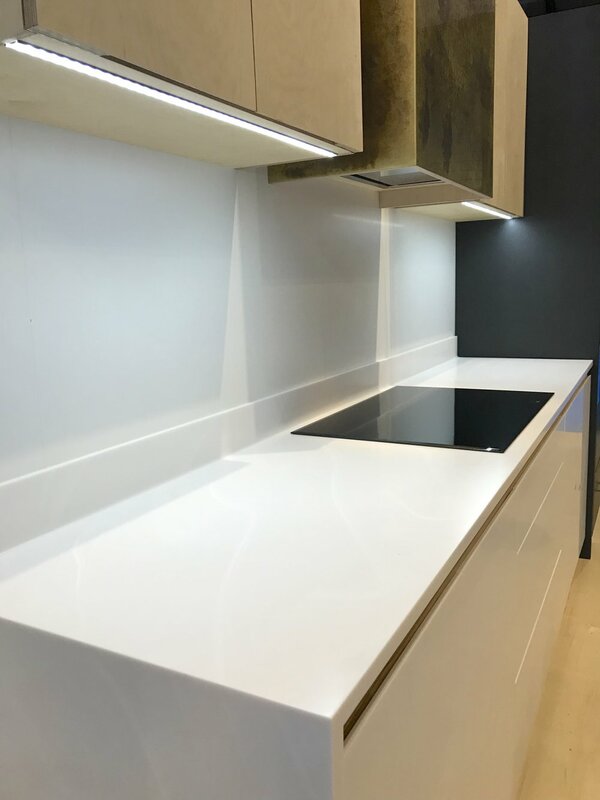 We could have bonded Corian to another board to make it thicker like many other kitchen manufacturers are doing but what is the reason or need to do so? Corian in its raw 12mm thick form is perfect and means you can choose any colour from the range. 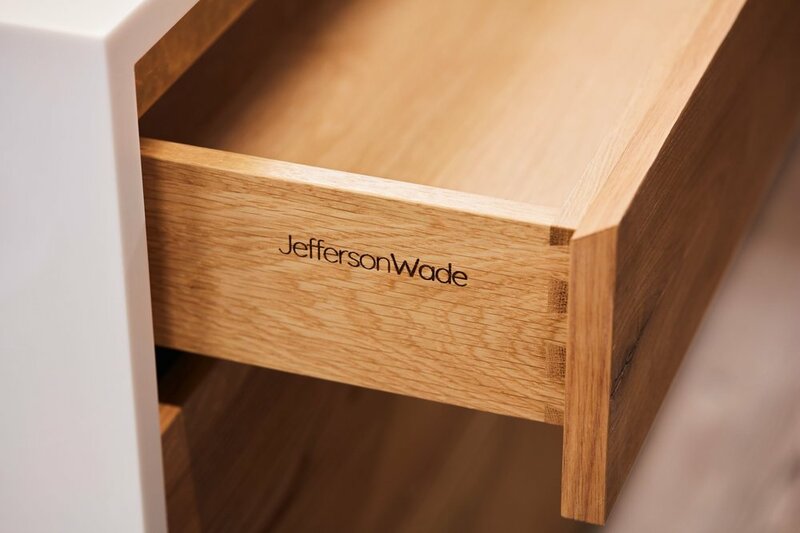 Plywood carcasses, dovetail plywood drawer boxes and plywood cutlery inserts as standard. You can even use plywood for your unit fronts. Aged Brass has been used to clad the hood, the doors in the breakfast bar seating area and also as a handless rail on the island. 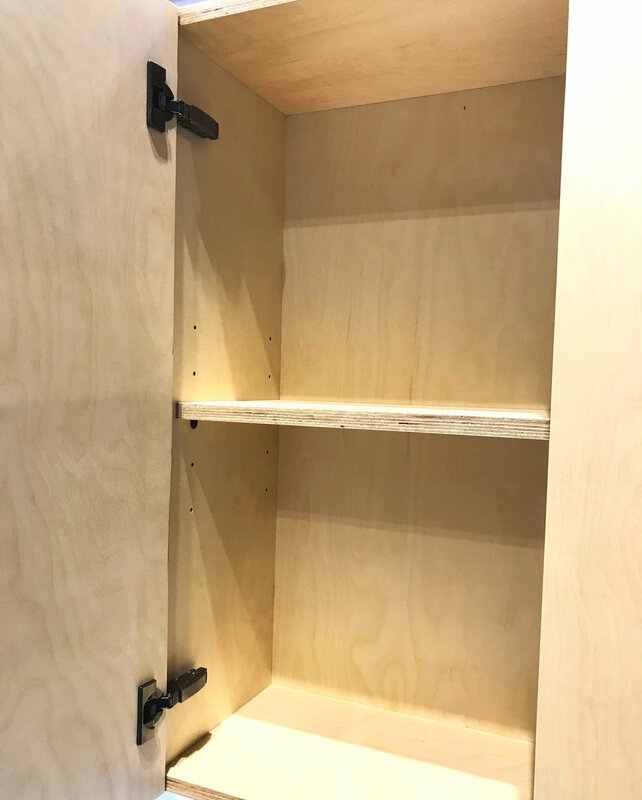 We are obsessed with attention to detail to the point that we didnt want to use any other metal than brass for other components whereever possible, such as using Brass soss hinges for the large pantry cupboard instead of the standard nickel. 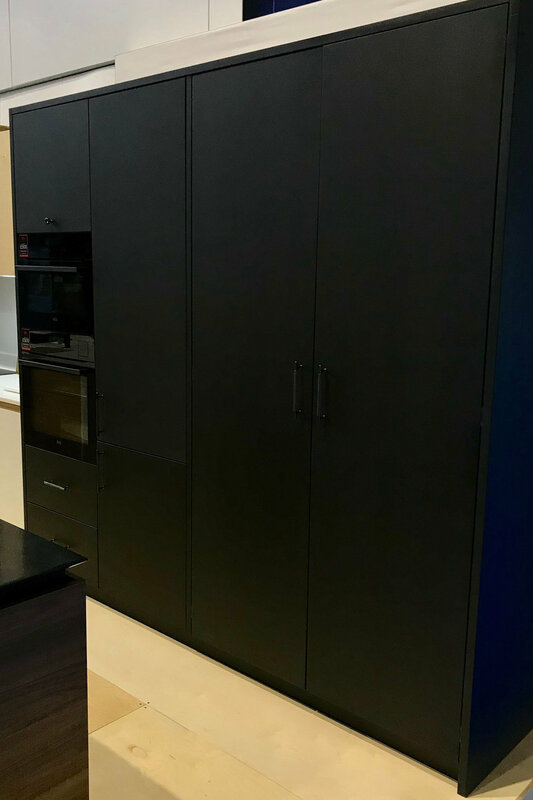 If we couldnt use Brass then we chose black like, Blums Onxy Black hinges instead of the standard stainless steel and black shelving clips for the pantry unit intead of standard easily sourced chrome. 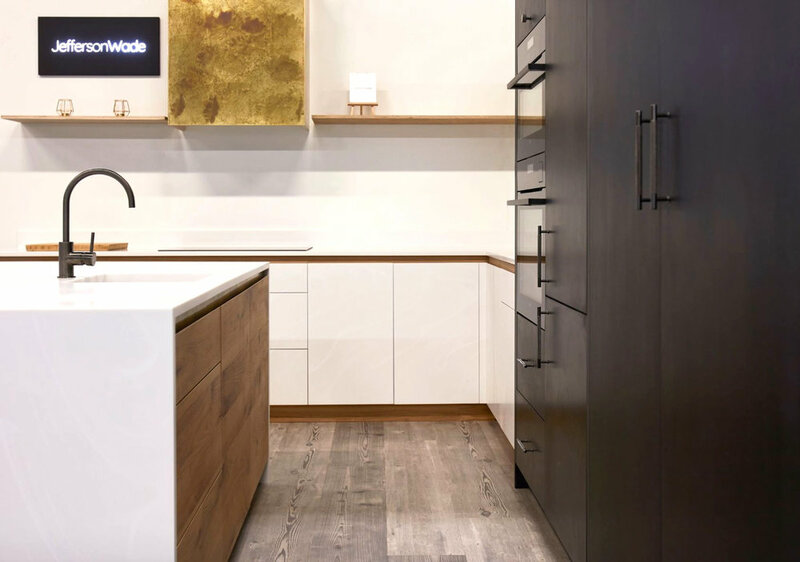 On the island you will see a seamless Corian worktop with waterfall ends, Solid Oak Dovetail Drawer boxes, Querkus fronts and a handless Aged Brass rail. Valchromat Tall units. Valchromat is a board that is coloured all the way through and is available in 10 different colours. Perfect material for your whole kitchen or a single bank of units. 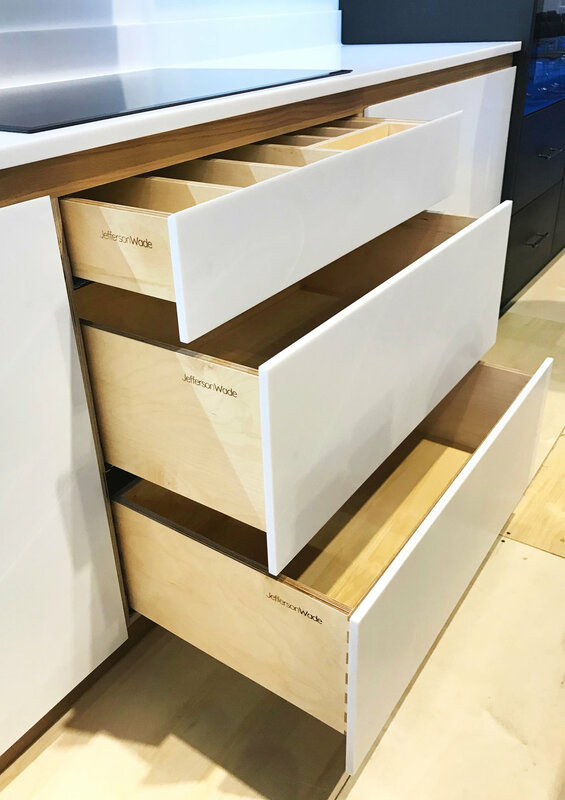 We used it here for our tall units, including this impressive pantry unit. Why not get in touch and arrange a design consultation with one of our experienced design team.